Now, Cauvery Wildlife Sanctuary is not your typical jungle teeming with wildlife and predators. It is more of a reserve forest, bounded by villages, and hence don’t be too surprised if you see more of cows, sheep and goats there. But apparently, it has elephant, wild boar, leopard, spotted deer, barking deer, common langur, bonnet macaque, slender loris and malabar giant squirrel as well. The sanctuary is particularly known for its grizzled giant squirrel and I harboured a strong desire to see the furry tailed creature. The beauty of this forest lay in the river Cauvery itself. The river snaked its way through the jungle and was famous for its bounty of Mahseer fish, leading to the establishment of the fishing camps (Bheemeshwari, Galibore and Doddamakali) along its banks. Not that anybody is allowed to fish in the river there. I think you can fish only in the designated fishing camps and you are supposed to release your catch back to the river. A good step, in my opinion. Anyways, we had not yet glimpsed the river yet. We drove on the narrow jungle tracks, admiring the various flowering creepers and butterflies. There seemed to be butterflies everywhere and I made a mental note to learn more about them. Thankfully, the weather seemed to lighten up a bit and we secretly let out sighs of relief. We could hear birds chirping all around us and yet none were coming forth. It was a bit frustrating to hear them but not see them. Of course, we could see our friends the bulbuls singing away to glory, but we wanted to see something else, some new birds we could boast of. The frantic call of the common hawk cuckoo kept on ringing in our ears. 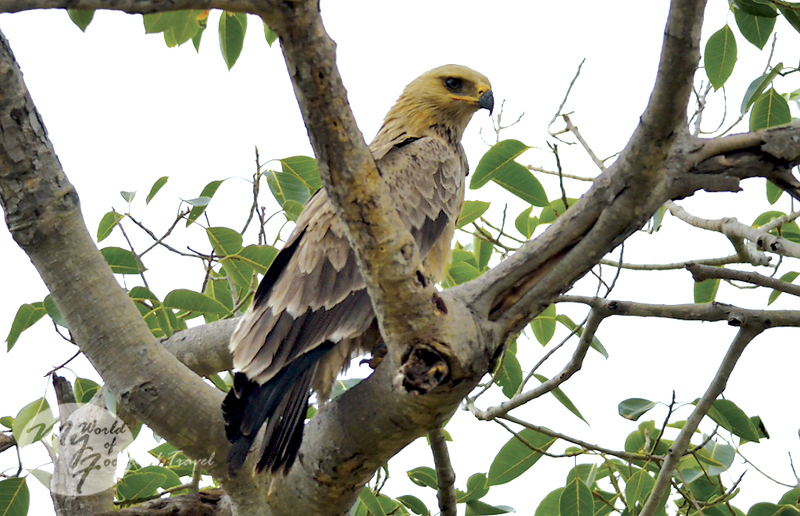 Suddenly, at one part of the jungle, we could see scores of brahminy kites and a few black kites flying overhead but we could not see any water nearby. There was one raptor that looked different from the black kites. We tracked the bird through our binoculars for some time but could not make it out clearly. To our joy, the bird landed straight on the bough of a tree near us and finally offered us a decent click. It turned out to be the majestic tawny eagle. 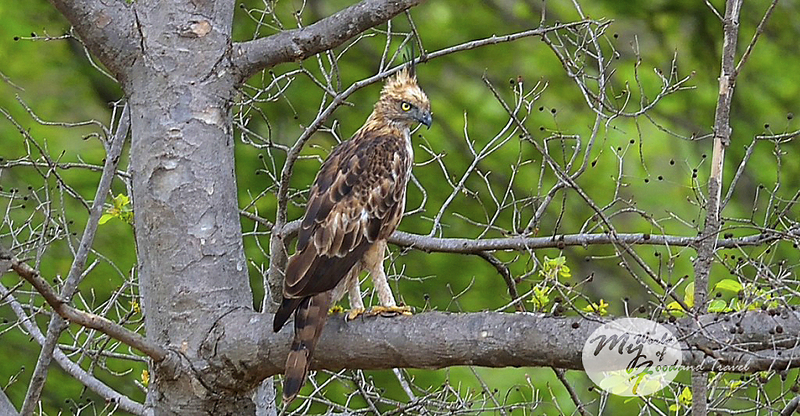 I braced myself when he whispered the words ‘Crested Hawk Eagle’ to me. “Next time, you carry the baby and I will follow the birds,” I retorted icily. The guy tried to mollify me by saying that maybe we will see it again but I had no such hope. We then drove in silence. We passed by a temple, surrounded by monkeys and most probably dedicated to the monkey God Hanuman. The terrain changed and suddenly we found ourselves driving uphill through narrow roads – the hills on one side and cliff on the other. I had expected only plains and this was a nice turn of events. One part of the road was quite pebbly and we had to drive carefully through that patch. 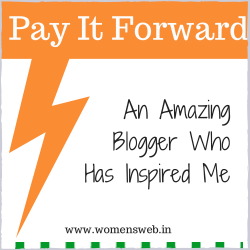 We reached a village where we were stopped and charged Rs.40 before proceeding forward. Finally, the river Cauvery came into view. It was flowing a little away from the road and gave us its glimpses in bits and pieces. The water looked invitingly cool and clear. We reached the gates of the JLR-run Bheemeshwari Fishing Camp on the banks of the river but decided to visit it another day. The road past the fishing camp again took us upwards to the hills, leaving behind the Cauvery. There, up on the hills, we came across a big group of super shy spotted deer, a sharp contrast to their daring counterparts in Nagarhole National Park. My hopes were still pinned on witnessing a grizzled squirrel and I hardly took my eyes off the branches of trees. Here I must tell you about the peculiar, deceptive trees of Cauvery WLS. Most of these trees had a gnarled, sooty branch which almost looked like a squirrel curled up, or a bird resting. I kept on imagining these branches to ‘uncurl’ and reveal themselves as grizzled squirrels camouflaged against the trees. I guess I was getting too restless. It was noon by that time and all the birds and animals had gone into hiding. We kept on driving till we came upon a village and turned around. On the way back, we suddenly heard the loud mating call of a grey jungle fowl and could not resist the temptation to get down from the car and look for the bird. There were more than one jungle fowl and they kept on replying to each other’s calls. 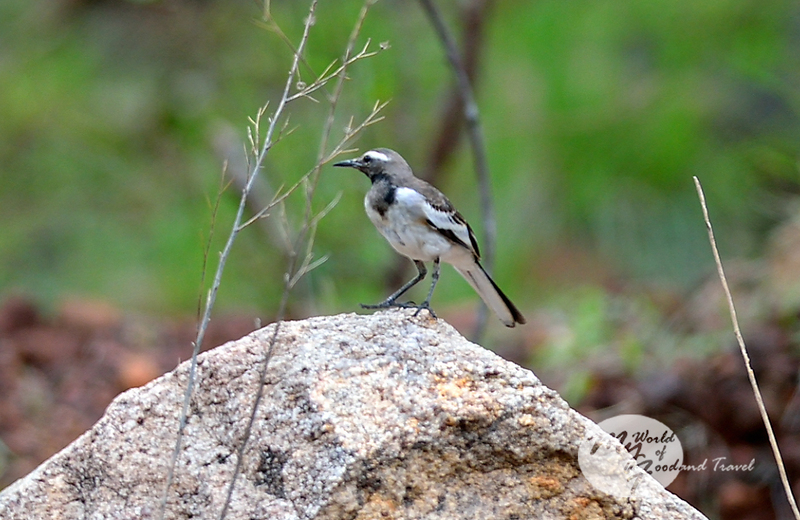 The male bird was quite close to the road but it was very skittish and scuttled away in the bushes before we could get a decent shot of it. Ironically, the very next day we saw a grey jungle fowl sauntering in full view of the world near Valley School (off Kanakapura Main Road) in Bangalore. We remembered that we had passed by another temple which lay beside the river and decided to stop there. As usual, there were gangs of monkeys around the temple and one of them even grabbed my bag. I should admit that after the incident in Matheran I have never been a great fan of monkeys. We went down to the river and had a peaceful walk along its banks. 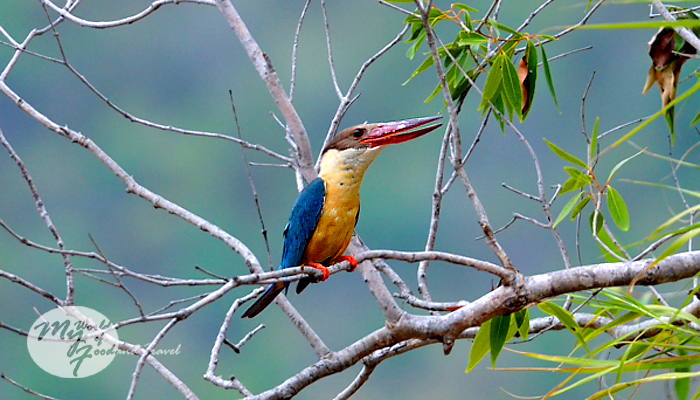 A few stork-billed kingfishers were trying to catch the attention of a female and filled the air with their loud calls. The husband tried to track them down while my little one and I had some amazing fun on the white rocks of the river. Although it was lunch time, we dared not have our food amongst the motley group of monkeys around. So, we drove on for some time before reaching a secluded area and opened our lunch boxes. Incredible as this may sound but in a matter of seconds we were surrounded by monkeys from all sides. Hordes of them were running over to our car, old and young, some of them even holding babies. We were utterly horrified and hurriedly packed our food again. I never knew that the husband and I were such good cooks to attract such a crowd! Eventually, we had to stop at another ‘safe’ site and have our lunch in the car itself. There was not much to do after lunch and hence, we decided to return home. On the way back, we passed through a part where water flowed over the road and saw a beautiful sight. 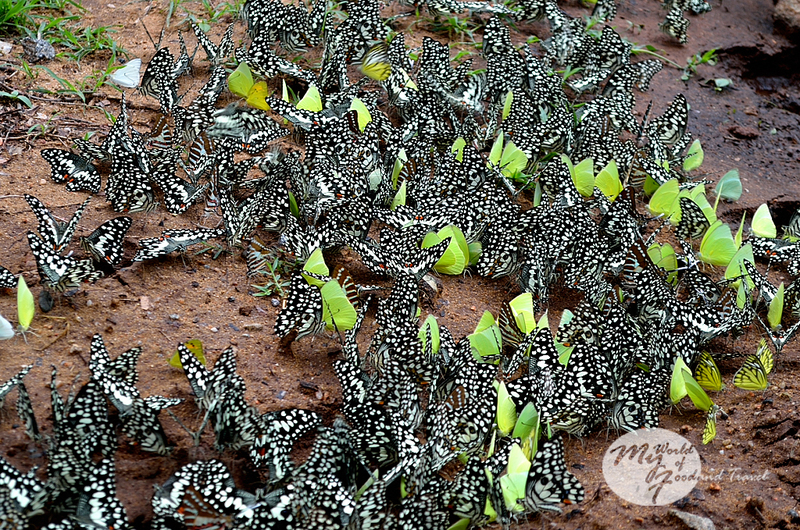 There were hundreds of butterflies congregated in a small patch of wet ground. 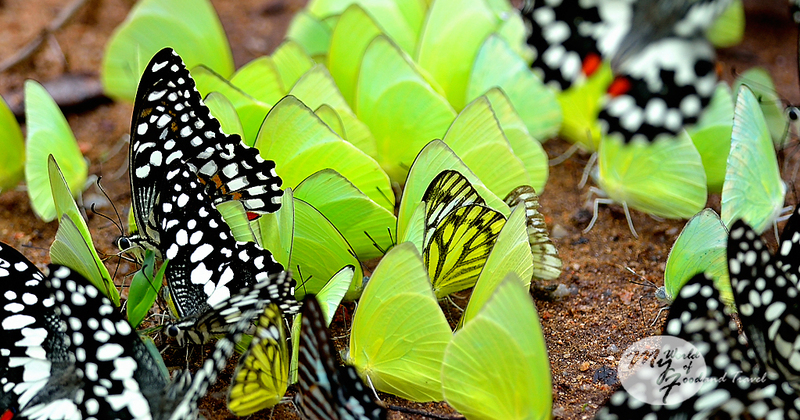 I think that is called mud-puddling where the butterflies substrates on wet soil, dung and carrion to obtain nutrients such as salts and amino acids. It was truly amazing to see the phenomenon. On hindsight, I remember our Jeep driver in Manas telling us that butterflies gather wherever a tiger or elephant had urinated. 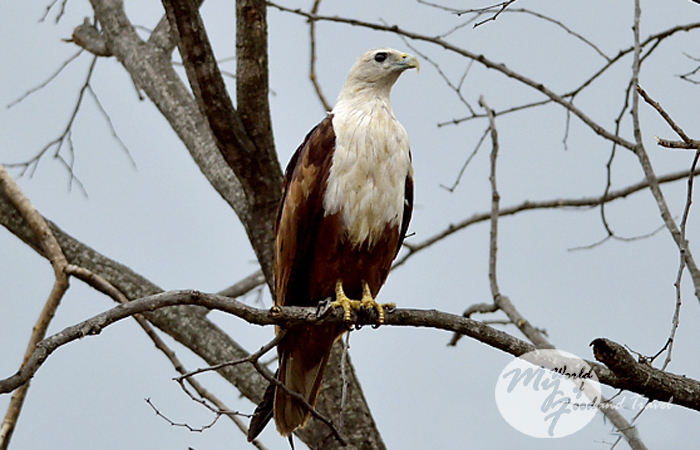 We then came to the spot where we had seen the brahminy kites in the morning, as well as the tawny eagle and the crested hawk eagle. “Do you think the crested hawk eagle is still there?” I asked the husband. “Let’s check it out,” he replied. We ventured out amongst the thorny shrubs and came to a clearing. 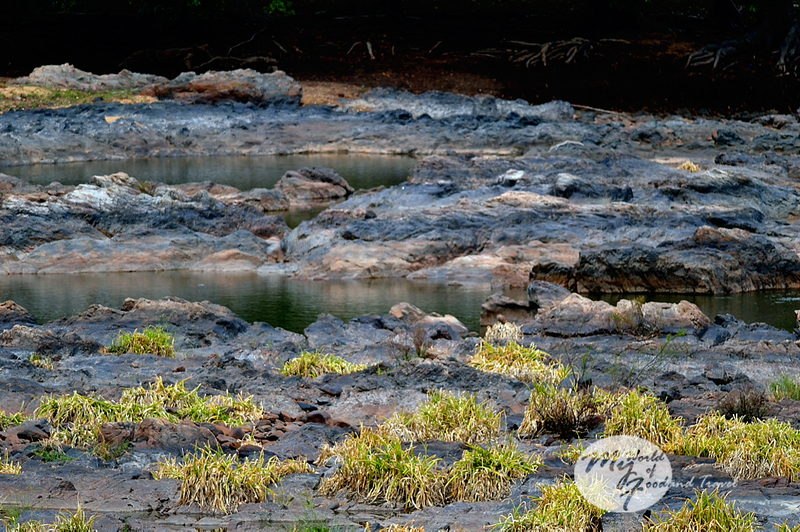 The mystery of the brahminy kites and the elephant dung were solved when we saw a small pond there. So, the elephants had come down to have their fill of water. 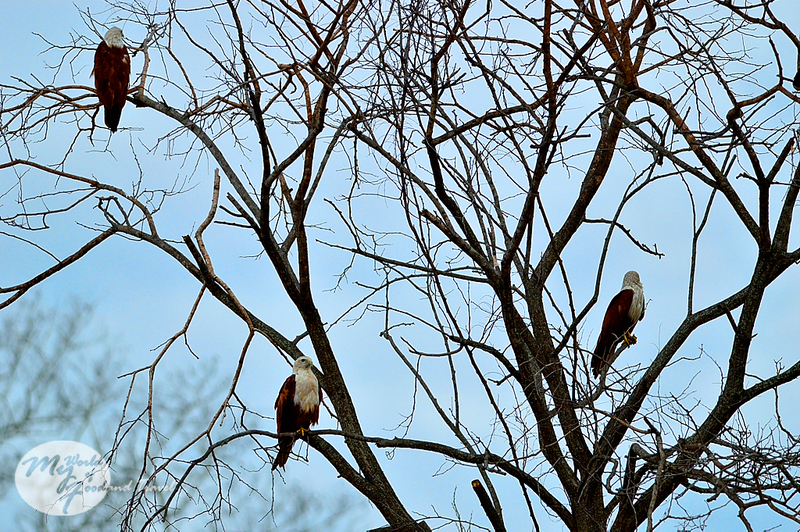 At first, we could not see the brahminy kites. A little scan of the trees around and we found them sitting on the branches calmly. Abruptly, the husband motioned me to be quiet and pointed towards another tree. 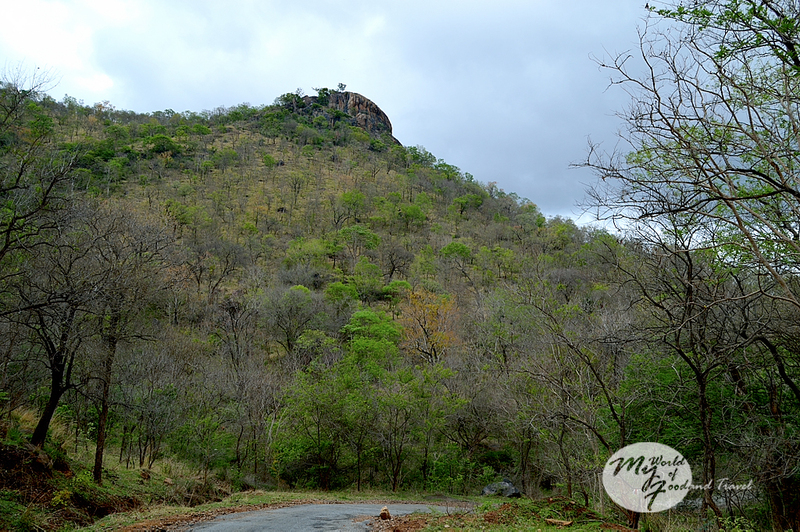 That’s where I saw my first crested hawk eagle, a fierce-looking creature. 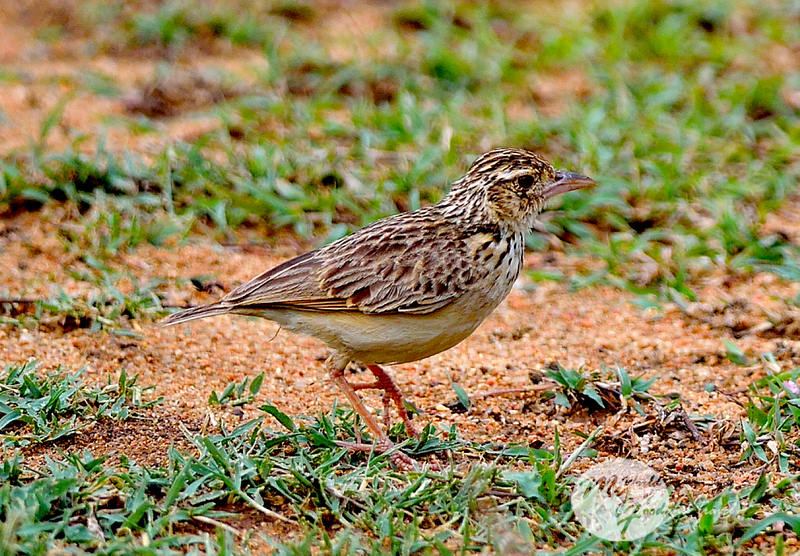 Despite our caution, the bird noticed us and took off, just allowing itself to be clicked. 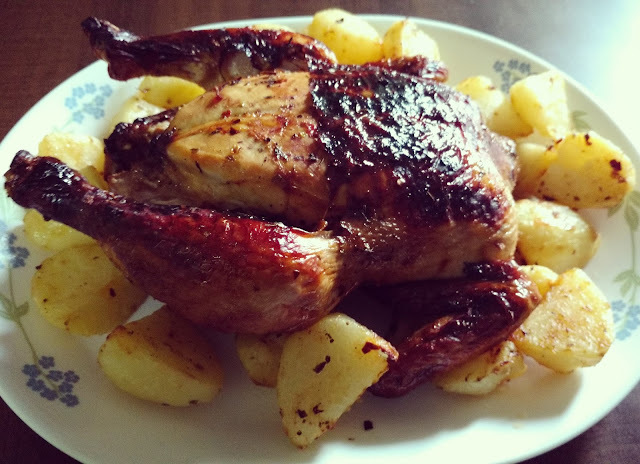 At last, I had got my bird. Meanwhile, the peacocks were going crazy with their mating calls. Their voices seemed so close by that we thought they must be just around the corner. 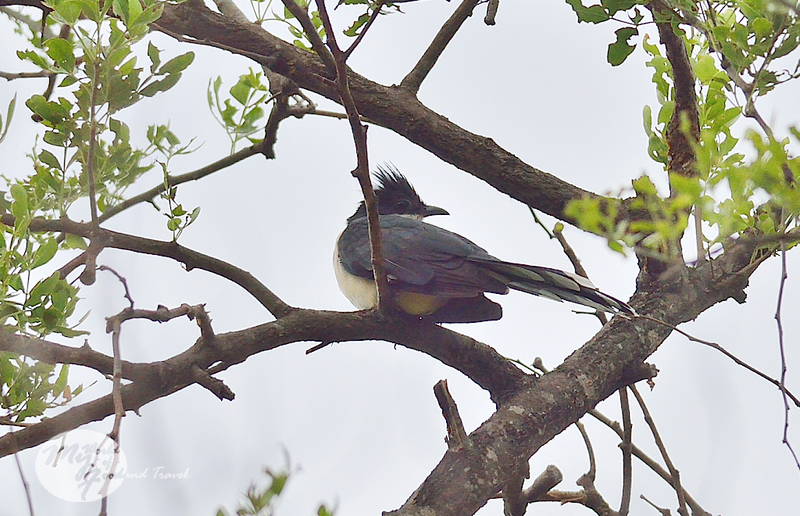 Instead, we came across another beautiful bird, albeit with a better voice – the Jacobin cuckoo. We also spotted a grey hornbill a few trees away. But no sign of the peacocks, although we could still hear their incessant calls. We did not witness much the rest of the way. 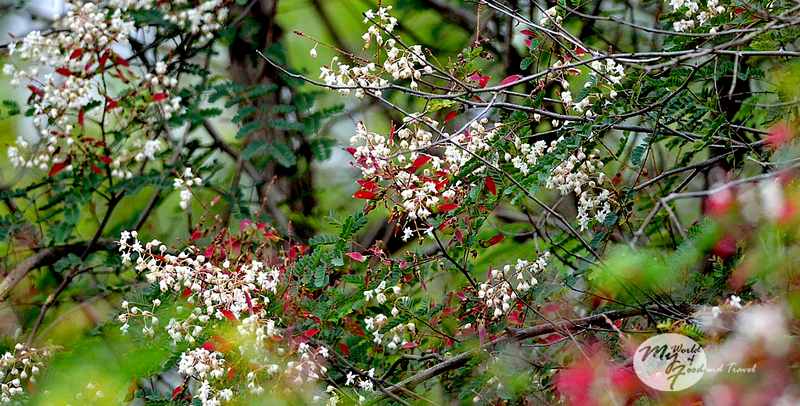 There were plenty of tiny birds - sunbirds, warblers and flowerpeckers included, but we could not get good shots of them. The saddest part was that I did not get to see the grizzled squirrel. That meant only one thing – we will have to pay another visit for sure. And very soon. 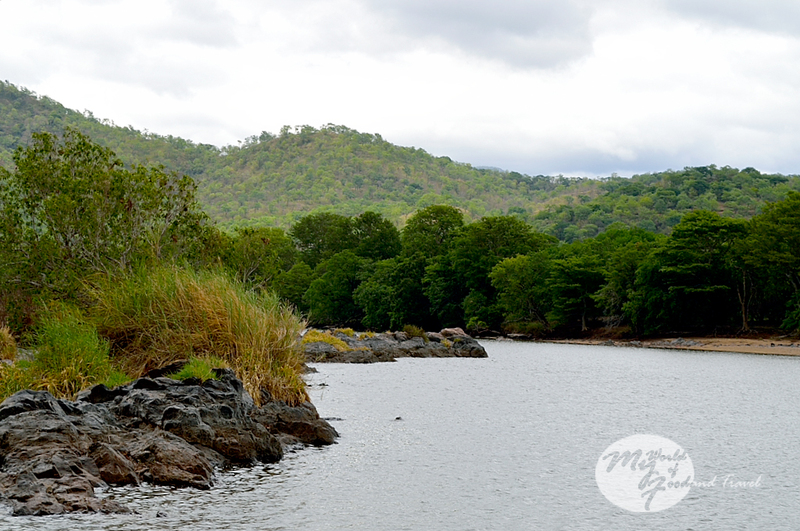 Till then, let me re-live my memories of Cauvery Wildlife Sanctuary. PS: One word of caution, do not enter the jungle like us stupid people. You never know what wild animal may be lurking there. And beware of the monkey brigade! 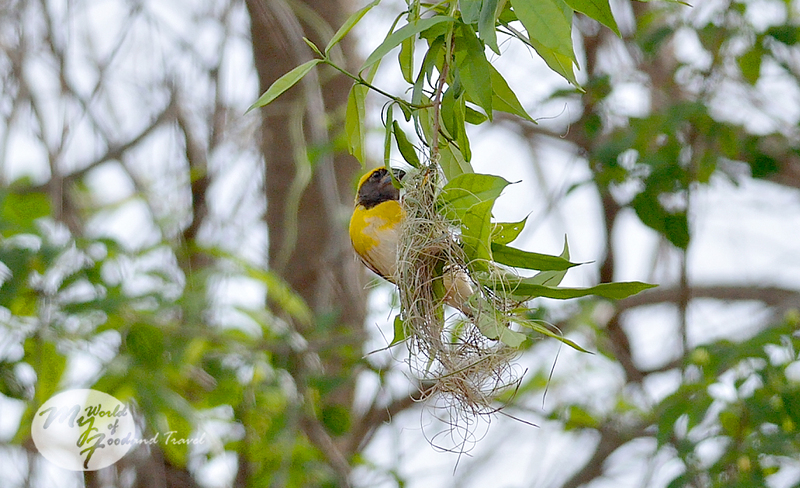 PPS: Another visit to Cauvery Wildlife Sanctuary - different birds! White-browed Wagtail, Jerdon’s Bushlark, Plain Prinia, Ashy Prinia, Red-vented Bulbul, Red Crested Bulbul, Purple Sunbird, Pale-billed Flowerpecker, Jungle Mynah, Black Kite, Brahminy Kite, Tawny Eagle, Crested Hawk Eagle, Common Hawk Cuckoo, Baya Weaver, White-cheeked Barbet, Malabar Grey Hornbill, Stork-billed Kingfisher, Pied Kingfisher, White-breasted Kingfisher, Common Kingfisher, Cattle Egret, Intermediate Egret, Grey Jungle Fowl, Indian Robin, Oriental Magpie Robin, Pied Bushchat, Chestnut-headed Bee-eater, Green Bee-eater, Rufous Treepie, Jacobin Cuckoo, Spotted Dove, Laughing Dove, Indian Hoopoe, Jungle Babbler. Wow beautiful shot..Close to nature..I loved the Eagles and The Monkeys. Yes, now is the best time, weather has become so cool! 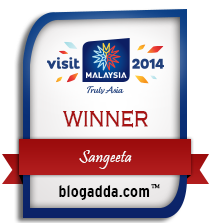 Wonderful sightings Sangeeta! The butterflies are amazing! It is such a beautiful greeting card like capture. Thanks, Indrani, there were hundreds of butterflies, we could capture only a part. You have spotted beautiful birds. I would love to be there. Very nice write up and equally nice pics. Loved all the pics especially the ones at Kanakpura lake. Can you share what lens you use, must compliment you compose your pics very nicely. Thanks a ton! Credit goes to my husband for most of the pics. The lens used is Nikkor 300mm plus 1.4 Nikkor Teleconvertor. Wow. wonderful informative post with amazing picturesque. but, herd of Butterflies looking sheer beautiful. Can't be better than this.. Super takes.